Two collisions caused long delays on the roads around Peterborough this morning. 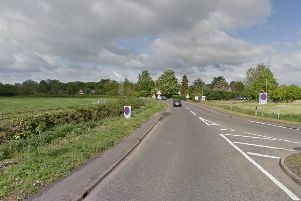 The A1 was partly blocked southbound due to an accident between the Wittering turn off and the A47 at Wansford. This was a single vehicle collision involving a blue Toyota Aygo, the driver of which suffered minor injuries. Congestion was reported to be back to Stamford/ Burghley House turning. There was also a separate collision at 7.27am on Boongate in the city, which was partially blocked on the roundabout at Perkins Parkway following a collision between a lorry and a black Volkswagen Polo. Nobody was injured. Both incidents have now been cleared.